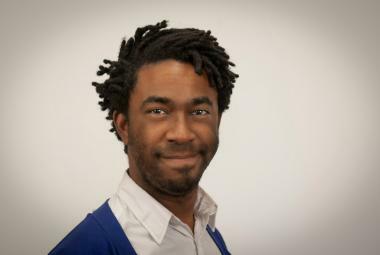 Darryl Holliday is a general assignment reporter/producer at DNAinfo.com Chicago. Before joining the DNAinfo.com team, Darryl’s work appeared in the Chicago Sun-Times, The Progressive magazine and on WBEZ, among others. He graduated from Columbia College Chicago and worked as an Associate Editor for the Columbia Chronicle, covering issues of immigration, student debt, home evictions and general urban oddities. Darryl is an East Coast native and former “military brat” who has lived around the world. He considers Chicago something like an adopted sibling. In addition to work with DNAinfo.com, Darryl runs The Illustrated Press, a small press publication combining sequential art and journalism. Fun fact: Darryl once got lost in a forest in the middle of the night while geocaching. Then he was rained on. Then he wound up in a rock quarry. And then he was chased by a wild animal. We took historic photos in Logan Square and captured them as they are today. We revisited historic Milwaukee Avenue photos in Logan Square and captured them as they are today. We took historic Milwaukee Avenue photos in Logan Square and captured them as they are today. Ten of the week's best Instagram photos and videos from around Logan Square and Humboldt Park. Shawn Harrington was shot and paralyzed in 2014 when several gunmen opened fire in Humboldt Park. The Prohibition-era bar will re-open July 22 from the owners of Dante's and Rocking Horse. Assistant Principal Shanele Andrews will serve as administrator-in-charge during the transition. Organizers of the annual Logan Square fest say attendance and donations grew over previous years.